Thanks for the review & quotes, B! Haven’t yet had time to read this. 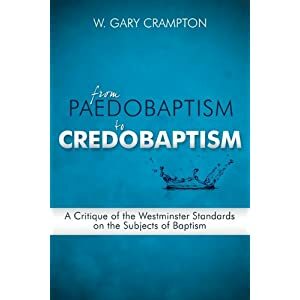 In your studied opinion, are the Westminster Standards the pinnacle, the apex, the acme, in other words, the best arguments going for infant baptism? My main response to Karlberg is as follows. First, Westminster’s statement about covenant and election is not vague or under-developed, so as to stand in need of further development (by M. Karlberg). It is either true or false. Either the NT covenant of grace was made with Christ and the elect in Him (as Galatians 3 teaches in clear language), or it was made and is made with baptized persons apart from the headship of Jesus Christ. In the latter case, the covenant is uncertain, conditional, and dependent on humans, as is also the promise by which the covenant is made and as is then also salvation itself. The issue, as the book of Galatians is concerned to reveal, is whether the covenant of grace and its salvation is universal and conditional or particular and gracious. Norman Shepherd and the federal vision, like the “liberated” Reformed theology that Shepherd admittedly is propounding and developing, are the in-your-face development today of the theology of a universal (all baptized persons), conditional covenant, divorced from Christ as head of the covenant. Our day represents the crisis of covenant theology, as 1618-19 represented the crisis of the gospel of grace in the Netherlands. Waffling on the issue of the day, as Karlberg does, is in fact surrender of the gospel of an unconditional (particular) covenant of grace. 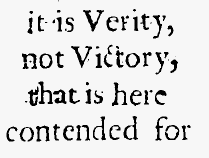 But the covenant in the OT and in the NT was and is with the elect alone, as Westminster clearly confesses on the basis of Galatians 3. Those who go out from us, the believing church, never were of us, never were covenant friends of God with us. This is the issue: not how wide is the administration of the covenant, but how wide is the covenant of grace. Does election determine covenant friendship with God and the salvation it bestows? Election! Election! accompanied by reprobation! Always in the history of the church the stone of stumbling and the rock of offense. And always the source and foundation of the confession of grace. I’m not seeing the alleged contradiction. Baptism does indeed confirm our interest in Him, not just as those receiving baptism, but those conferring baptism on others, including their children, which makes these little ones recipients of the covenant of grace, at minimum becoming beneficiaries of all temporal blessings available to the household of God, and pursuant to their personal faith in Jesus Christ.